I grew to love some of the most widely popular comedy sitcoms on tv. All but one have now ended after running for 8-10 years. 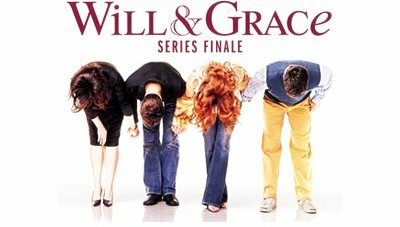 Friends, Everybody loves Raymond...and now Will & Grace have all come to an end. Although I have not been as commited to watching every single episode as much as Friends...W&G is one show I will definitely not forget because of its unpretentious, most hilarious gay jokes you will ever hear. Watching their finale was bittersweet. It ended just the way it should have ended. These kind of shows relaxes me after a tiring day. It's nice to plop on a comfy chair or bed eating junk food until reality kicks in that I've got a ton of work to do. I don't get tired of its endless re-runs. And now I'm down to my last long running show...Gilmore Girls which I hear is going to its halt pretty soon.